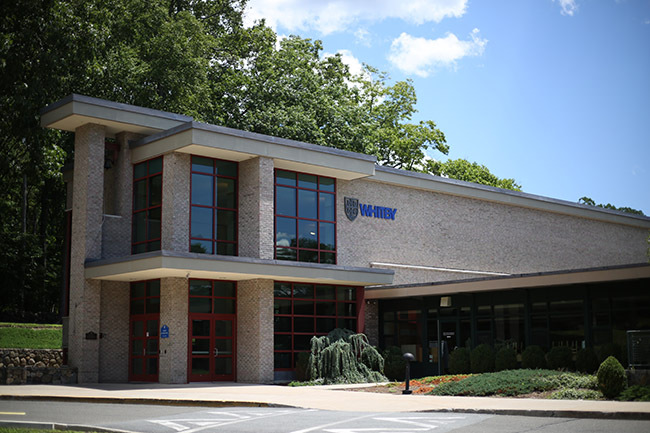 Founded in 1958, Whitby School is an independent, co-educational day school located in Greenwich, CT, serving students 18 months through Grade 8 throughout Fairfield and Westchester Counties. Whitby School was the first school in the United States to combine International Baccalaureate and Montessori within its early education program and is also the longest running Montessori school (through Grade 2) in the United States. Whitby's mission is to inspire a passion for learning and empower each child to take responsibility as an open-minded, principled citizen in a global community. Whitby students grow to be empathetic leaders who bring out the best in themselves and others. Students, parents and teachers at Whitby are proud to share their multiple cultures, experiences, and languages with one another. We know what matters most is open-mindedness, compassion, resilience, and the impact we as individuals, have together on the community. At Whitby, students ask big questions and take ownership of their learning along the way. Students are creative, hands-on learners who dig for "the why" by asking many questions and owning their education. They show us the path to their success through academics and cocurriculars, and teachers keep their curiosity alive. Your child's story begins in Founder's Hall, the part of Whitby School that is home to the Stepping Stones and Primary classrooms which together make up their Children's House. The Children’s House is dedicated to educating Whitby's youngest learners. The motto here is “Follow the Child”. In well-ordered, developmentally appropriate classrooms, under the guidance of expertly trained, experienced and caring teachers, children’s own love of exploration allows them to take the lead in their learning. Current research confirms that the first years of life are crucial in a child's brain development. This is when children have the greatest capacity and appetite for learning – especially in language development and socialization. At Whitby, their entire program seeks to support young children (and their families) as they begin the journey of becoming lifelong learners. Children’s House is designed specifically to foster social and cognitive development and to lay the foundation for learning in multiple academic areas. Different learning sections of the room thoughtfully encourage children to explore practical life activities, sensorial experiences, math, language, culture and science. Students in Children's House learn to approach new challenges with confidence. They are empowered as readers, writers, critical thinkers and mathematicians to become creative, well-informed, passionate and joyful learners and citizens of the world. Respected as individuals, our students think for themselves and are ready to begin their journey of learning and discovery. •Each child is guided in his or her own learning within the structure of Whitby's Montessori/International Baccalaureate program, which is supported by best practices in preschool education. •The unique flexibility of this curriculum allows Whitby to continually challenge each child at his or her own pace. •Individualized attention is achieved by their very low student/teacher ratio of 5:1 in Stepping Stones and 8:1 in Primary. •Whitby highly values their close working relationships with our families. This partnership is fostered through ongoing, personal communication as well as multiple conferences each year. •The multi-age classroom stimulates enthusiasm for learning and inspires independent thinking. •All of Whitby's teachers have undergraduate degrees with extensive experience in the classroom and at least one of the classroom teachers has completed Montessori and IB Training. •Whitby provides a large outdoor, as well as an indoor space, specifically designed to meet the young child’s need for gross motor development. •The Whitby program includes regularly scheduled enrichment activities which may include Spanish, music, yoga or dance, each taught by teachers that are specifically trained in these disciplines. The heart of the Whitby tradition for more than 50 years has been to cultivate each child’s natural desire to learn. Capitalizing on the crucial first years of life, Whitby's Stepping Stones program nurtures and guides young children as they begin the journey of becoming lifelong learners. The Stepping Stones program is truly a gift to your child. 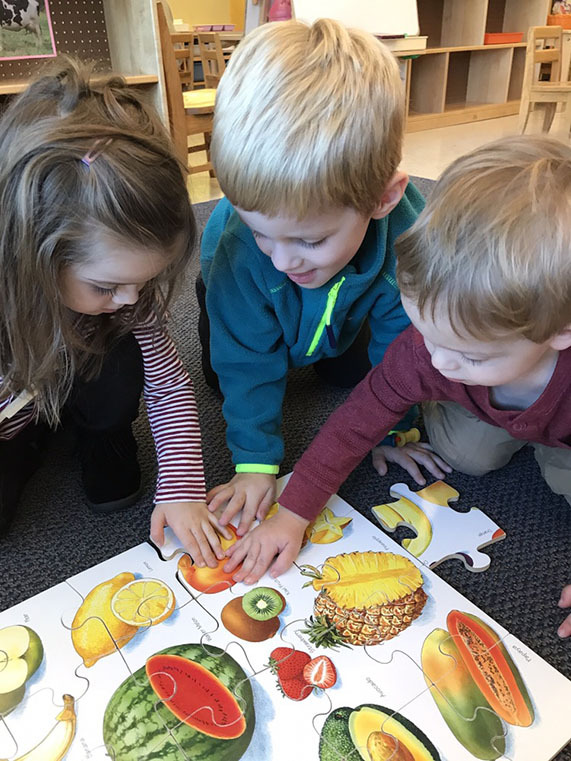 This program lays the foundation for a lifetime of successful learning, while offering a rich educational environment that is exceptional in preschool education. In Primary, Whitby's heritage as America's oldest continuously running Montessori school is evident the moment you walk in to any of the Primary classrooms. From the sandpaper letters to the colorful bead cabinet, the spaces are designed to facilitate exploration, delight the senses and invite learning. And what makes a Montessori classroom even better? The International Baccalaureate's units of inquiry which extend and enhance the students' exploration of the environment and develop their sense of international-mindedness. ,p>Just like in Stepping Stones, Whitby's Primary teachers follow the children as they become actively engaged in the learning process, gaining a deeper sense of pride and ownership for their accomplishments because their work is always meaningful. You'll watch in amazement as your children develop the confidence and independence that will empower them as learners and fuel a curiosity that will last a lifetime. Your child's story continues in our Lower School, the part of the school that is home to Lower Elementary (Grades 1 and 2) and Grades 3 and 4. Your child's learning journey culminates in our Upper School which is made up of four separate grade levels - 5th, 6th, 7th and 8th grade. Address: 969 Lake Avenue, Greenwich, CT 06831. Our daughters just completed their first year - amazing teachers, staff and community. Thank you.